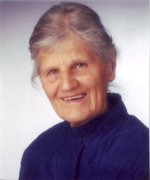 We are proud to be graced with the registration of Dr Brunhild Stuerckow who works as teleworker from California who specialises in translating complex documents focused in such areas as scientific literature, medical documentation, and financial as well as agricultural and religious subject matter. Dr Struerckow has a fascinating history. Having survived some harrowing years during the Second World War, the early 1950's saw her working at nights to undertake a six year degree in biology achieving a PhD. She went on to work as a researcher with the famous Max Planck Institute in Heidelberg and in the mid 60's was invited by the prestigious John Hopkins University in the USA. In the early 70's she took on a lecturing position with North Eastern University in Boston. So why Australia? As a tele-worker, it really doesn't matter where the work is but there was a special attraction. In 1973, Dr Stuerckow, as a teaching scientist, travelled to Australia to attend the International Science Conference in Canberra and became intrigued with the country. She spent a full four weeks there and also took the opportunity, to get to know the land and culture of the East Coast, including Canberra, Sydney and Brisbane. She was already intrigued by the stunning breadth and beauty of the country and describes Australia as a country with many facets - from which she would have liked to have seen more. Her exceptional level of education is a testament to her enthusiasm for all things new and is indicative in the high quality of her translations. She has a particular interest in old poems, stories and all things concerning nature. "I want to bring light into darkness, whether of science or the language." For Dr Stuerckow, it's never too late to learn something new. So in 1990, at the age of 66 years, she began working with computers and has perfectly mastered the world of the Internet and in 2010, she discovered the joys of working as freelancer. We at Freelance-Market hope that Dr. Stuerkow's vitality and enthusiasm provides a role model for all mature professionals who are considering spending their best years in service-based Un-retirement.